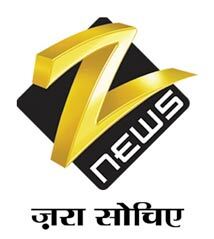 With a view to providing break-free real news to its viewers, Zee News is introducing a rapid fire news bulletin 'NONSTOP @ 9' during the prime band, beginning February 9, 2009. 'NONSTOP@9' will reflect the spirit of 'Zara Sochiye' and provide viewers non-stop news updates. It will wrap up all important news stories of the day in just 24 minutes without any commercial breaks. This unique news bulletin will showcase news packaged in a crisp, fast-paced and yet comprehensive form. The concept of the non stop bulletin at 9:00 pm everyday has been especially crafted for viewers who wish to watch news, uninterrupted, at the end of their day. Introducing the concept, Zee News Ltd. CEO Barun Das said, Non-stop news@9 is an effort to cater to the hard nosed news viewer by redefining the set parameters of news presentation. We have always believed in providing content which is not only informative but also presented in a unique format. NONSTOP@9 is yet another approach from the Zee News stable to update its viewers about the happenings in a short and comprehensive format.